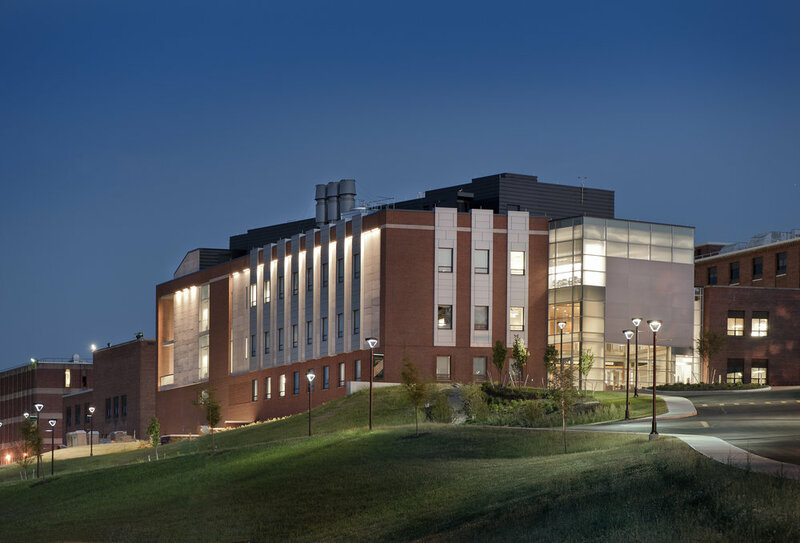 The State University of New York at Cortland new Glass Tower residence hall is a 197 bed, suite-style residence located in the center of student life. 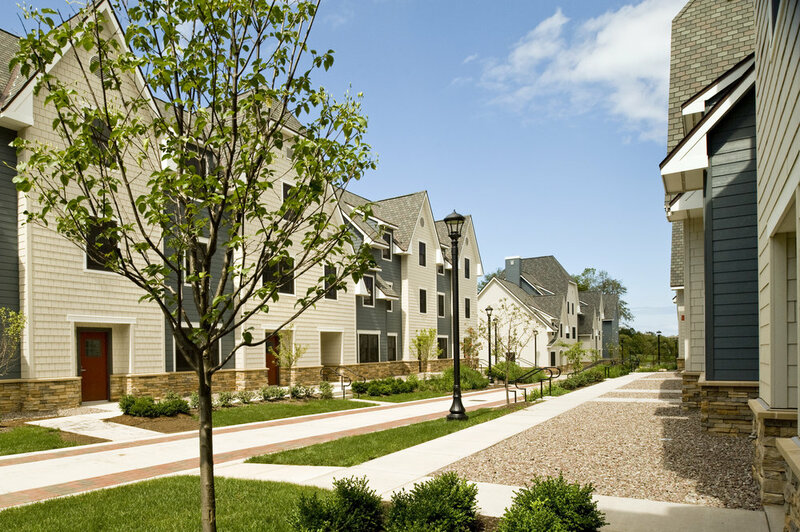 Adjacent to the main Dining Hall and the Student Union, this facility successfully connects two existing dormitories to further define an existing residential quad. 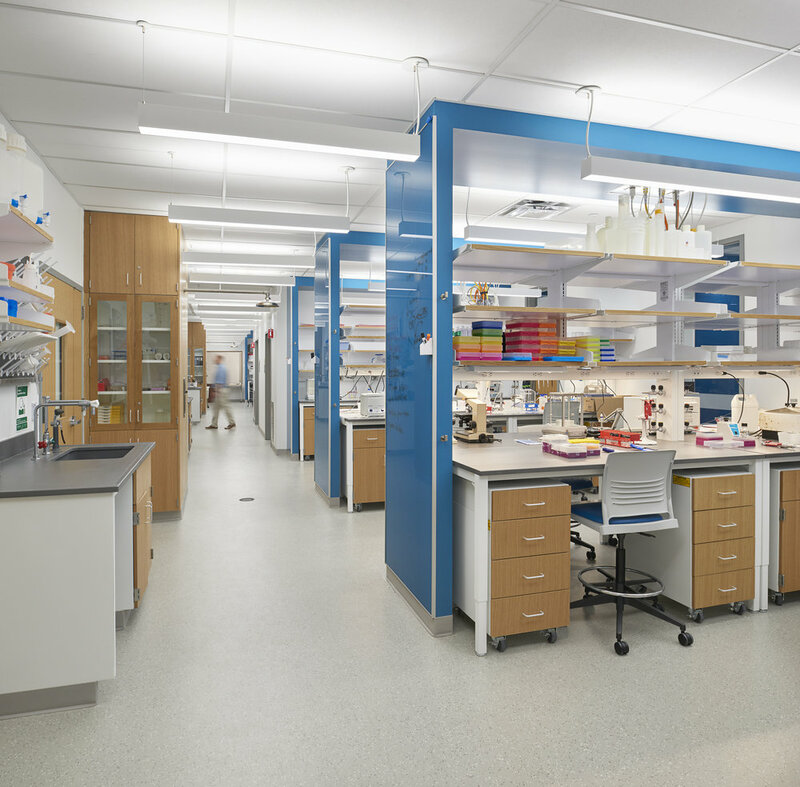 The $12.6 million project was completed on time and $400,000 under budget. 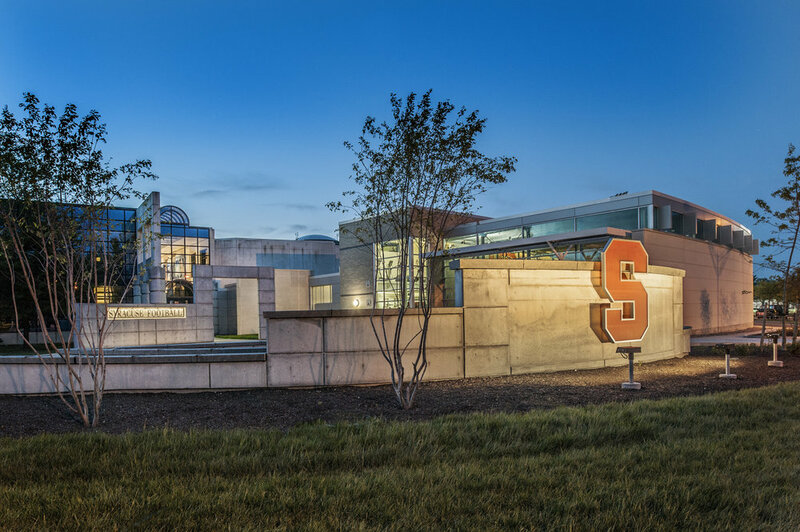 The project incorporates sustainable design concepts and has been designated a LEED Certified building by the U.S. Green Building Council. 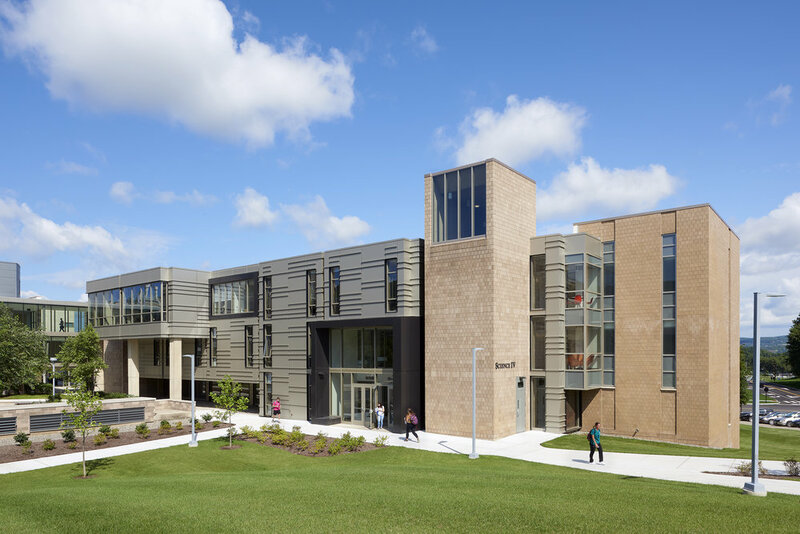 It was the first State University of New York residence hall to be granted LEED certification. 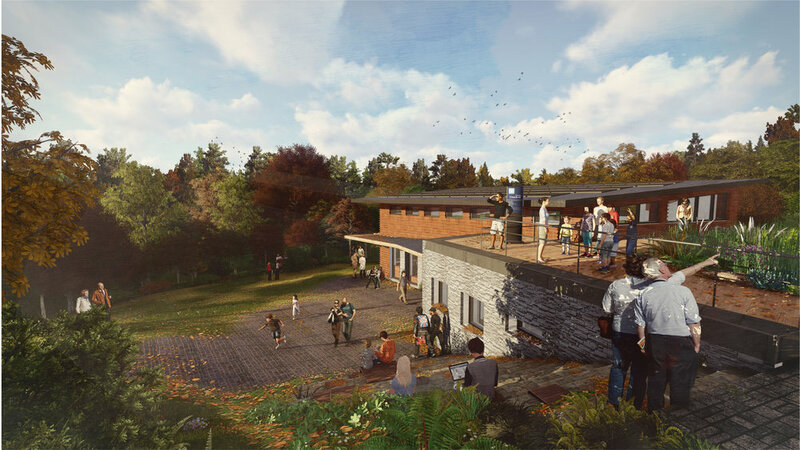 The 60,000 SF residence hall is a showcase for the College’s dedication to our environment and the community. This four-story, brick building has a variety of suites to offer students a choice as to their living preferences. The first floor contains several suites, as well as a highly desirable multipurpose room with full kitchen and storage. This space easily accommodates floor meetings and other events. In addition there is a laundry room with adjacent lounge, the residence director’s apartment and support spaces. The second, third and fourth floors include suites which accommodate four students in two bedrooms. 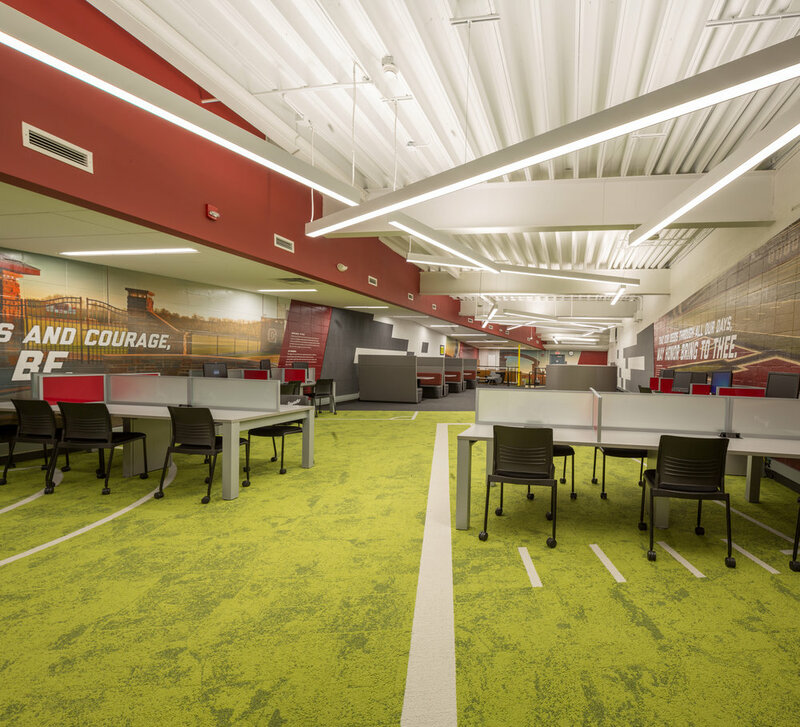 Each floor has multiple private study rooms that students share, and a multi-purpose room with a view to the west and the nearby rolling hills of Central New York.